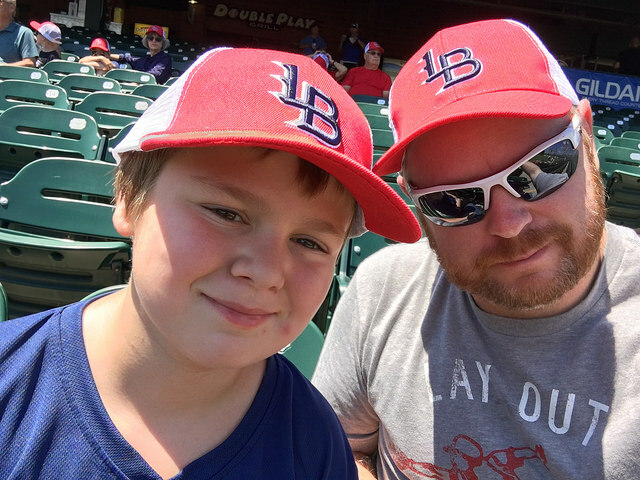 Louisville Slugger Field-Louisville, KY: Another gorgeous day here in the ‘Ville, and another Bats game for Brian and I to enjoy. 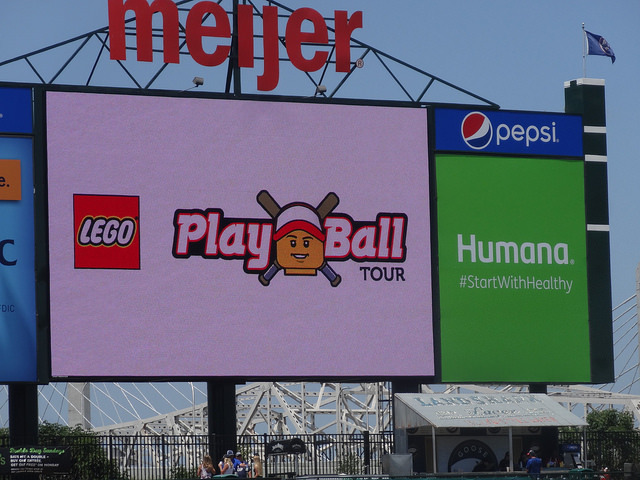 Last weekend the Legos Play Ball Tour was in town for some fun. 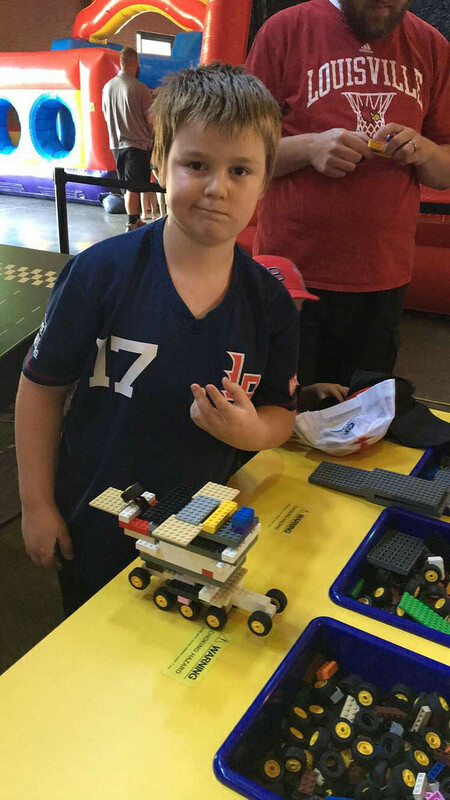 Brian was able to make some cool Lego vehicles and the kids had the chance to race them, also! It was a fun way to spend the pre-game, and it kept us out of the heat. 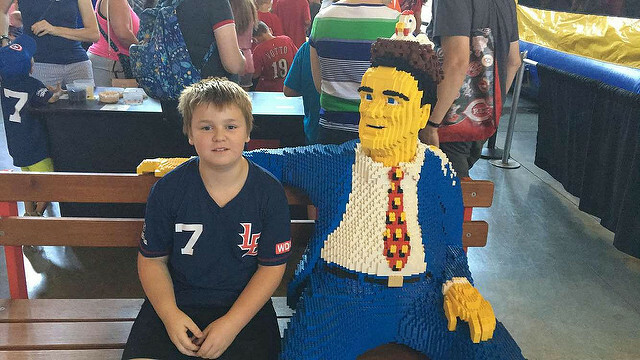 The kids were even able to make a baseball player out of Legos and take it home with them, which is cool. I’m sure soon, though, all the parts will just get thrown in his Lego bin. On to the game, as we settled in our seats with our new free hats courtesy of the Bats. Starting on the mound for the Louisville was Amir Garrett. He threw six and 2/3 innings, giving up two runs on six hits. He only walked two batters while striking out four. 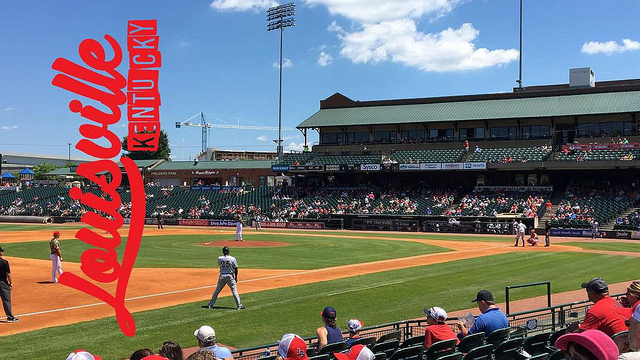 In the ninth inning, the Knights tagged relief pitcher Kevin Shackelford for a pair of runs to take the lead 4-2, but the Bats’ offense wasn’t done yet. 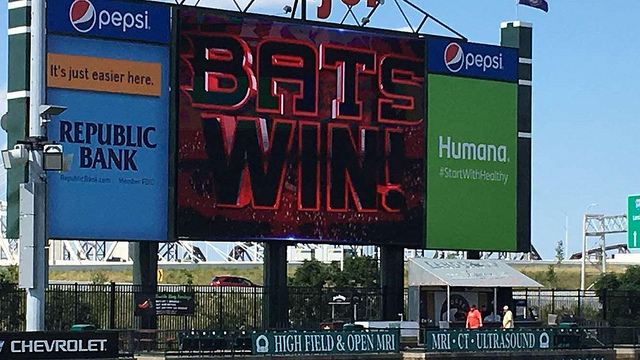 The Bats opened the scoring in the second inning, when Adrian Nieto’s double scored Eric Jagielo. 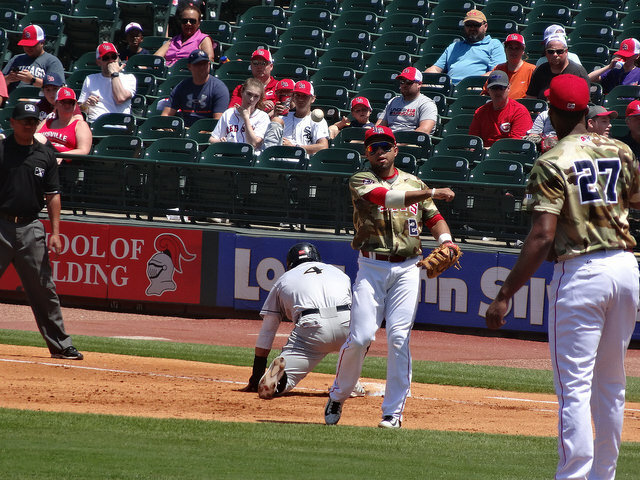 Then in the sixth inning, a Hernan Iribarren double, wild pitch, and error allowed him to scored the tying run. Going into the bottom of the ninth down by two runs, the Bats battled back to load the bases. 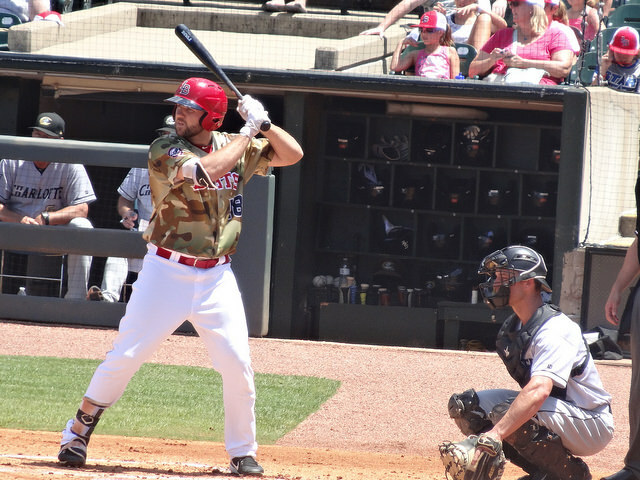 Four two-out singles scored three runs, including Phillip Ervin’s walk-off winner. 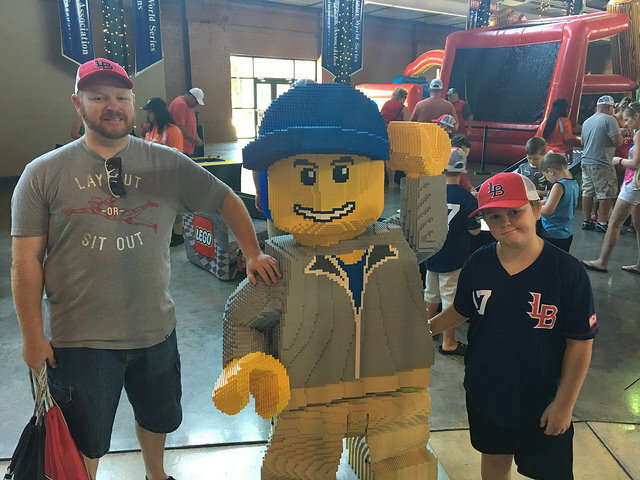 We had a lot of fun at this one, with a good combination of the Legos and the walk-off win. 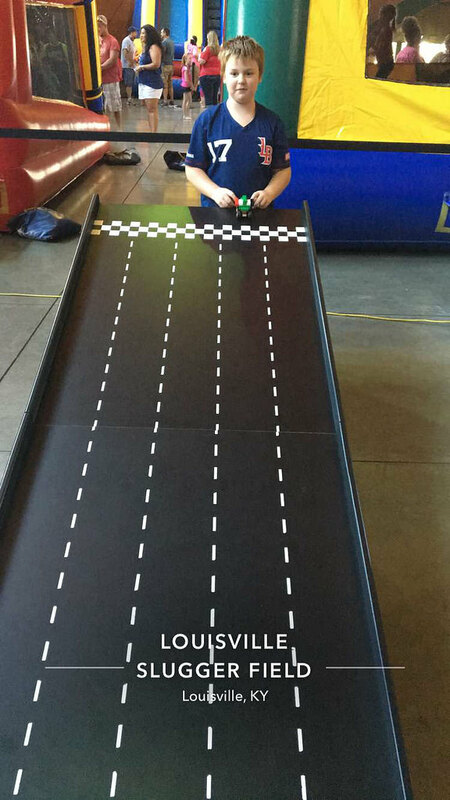 Brian had a good time, and was really into the game at the end, which makes it more fun for me, also. 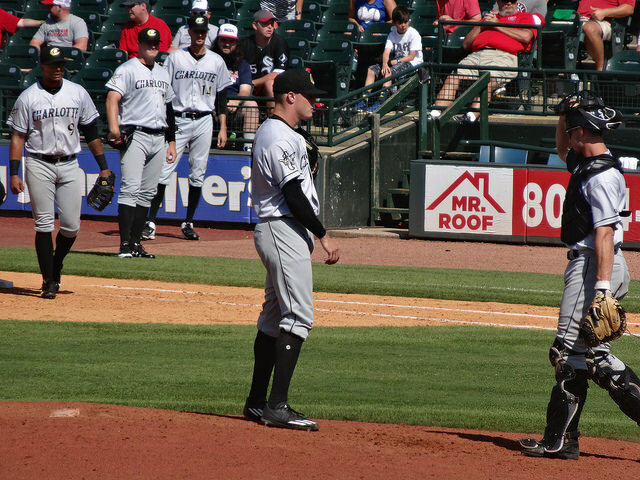 An added bonus was seeing former Louisville Cardinal Zach Burdi on the mound for the Knights, although he did leave the game after facing only a couple of batters for undisclosed reasons. Our next game will be in Cincinnati for my birthday, so that should be a good one!